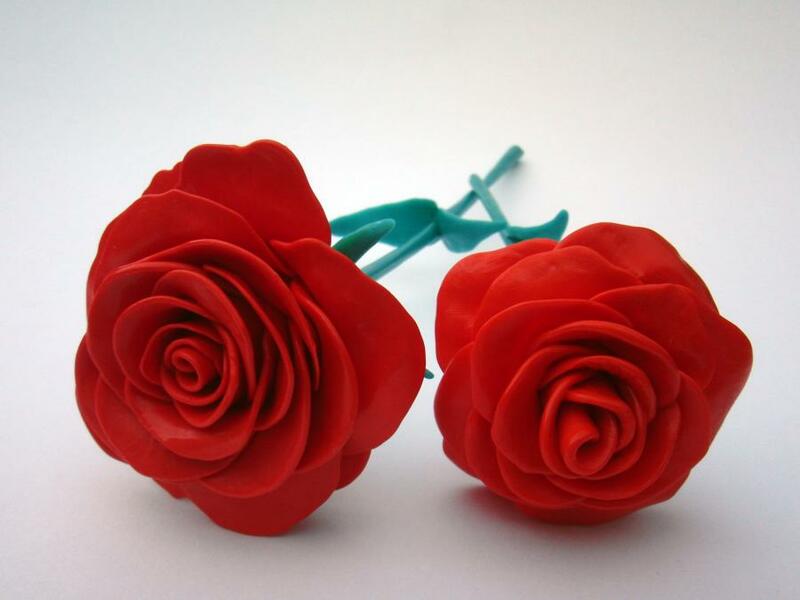 We had a lot of fun making these bright red roses. 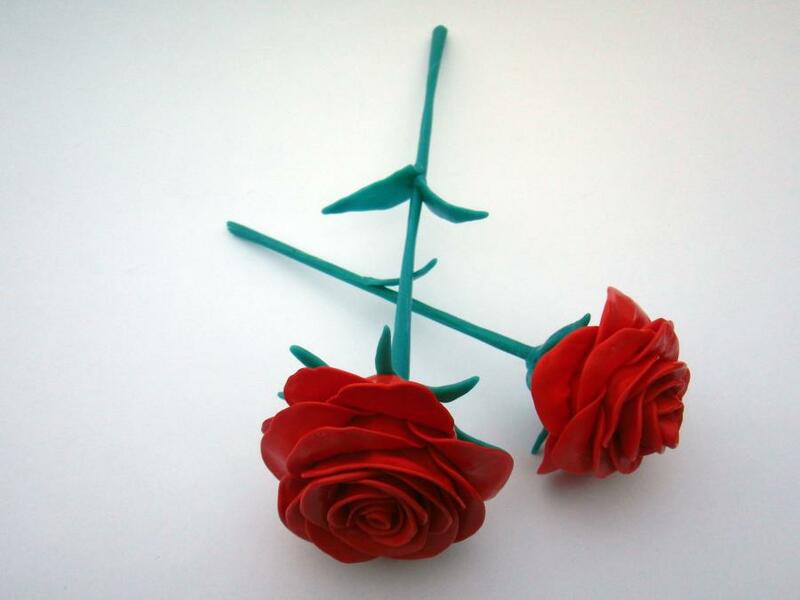 Each petal was made by flattening a small sphere of Plastimake until it was quite thin. 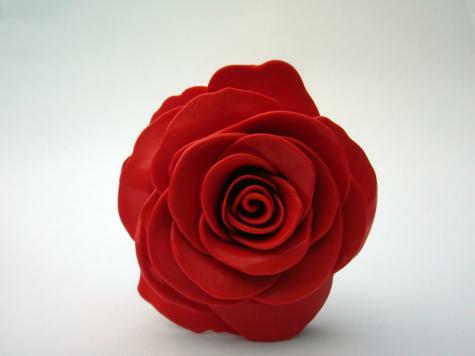 The first petal was wrapped into a spiral, then one-by-one each petal was placed onto the rose. The whole rose was dipped in ice water after each petal was added so that the petals would retain their shape. Have a look at the colouring and sheet-making techniques and give it a try yourself! 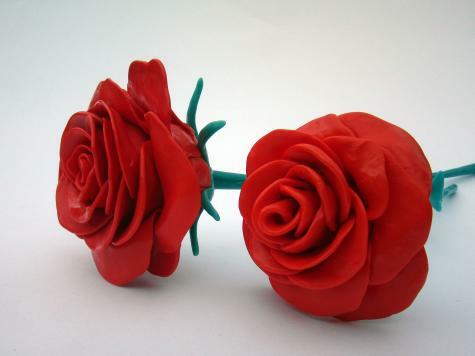 Each rose is approximately life-size, and uses about 100g of Plastimake.